If your security alarm trips off at the middle of the night, would you know what to do? Getting the right home security system for your home is a tedious task. From selecting the right devices and monitoring plans to having them properly installed, everything involves careful planning. However, once the system detects a burglar at home while you’re sleeping, you have to be prepared. 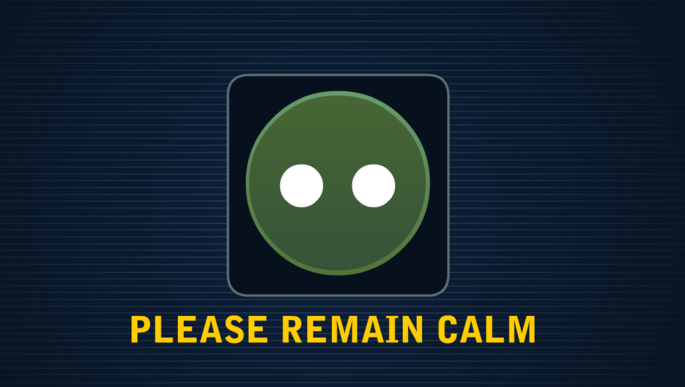 The first thing you have to do is to remain calm. Once you have taken panic off of your system, you can use the following steps in dealing with a tripped alarm. Do not turn off your system unless you know it is a false alarm. False alarms are relatively common that you might instinctively think it could be your dog tripping the alarm again. No matter how frequent this happens to you or how sleepy you are when the alarm goes off, if you are not sure of what caused the alarm, do not turn off your sirens right away. You should wait for it to register to your system’s monitoring station just to be sure. A loud siren can also scare potential burglars. Let it go while you are waiting. There are a lot of clever burglars today. Once you key in your off code and did a reset, they’re probably inside your home already. Presence of mind is very important in this type of situation. In case you have a self monitored system at home and there’s no monitoring station that can help you, you can use your surveillance camera to verify the event. There are a lot of ways you can verify what triggered the alarm without physically risking yourself. Several home security systems come with surveillance cameras and if yours has one, you can use it to scan all of your home’s possible entry ways. In case your camera comes with a built in speaker and microphone, you can listen for any suspicious sound. If you see someone you don’t know meddling with your valuables, don’t hesitate to dial the emergency number. If you find the situation urgent and you haven’t received a call from your monitoring station, contact them first. There’s a lot of reasons why your monitoring station hasn’t called you yet. One of these reasons is your system’s delay time. 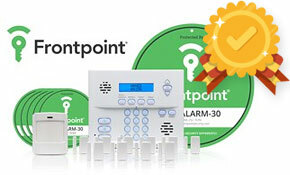 Most systems come with preset delays to give you enough time to disarm your system and minimize false alarms.The monitoring station will not call you up to verify the alarm until the said delay has passed. It can range from a few seconds to a couple of minutes. You should not risk yourself confronting a burglar in your home. If you’re a member of the police squad or you’re highly skilled with weapons and hand to hand combat, you can take the chance to defend your home. However, as there are other factors that need to be considered, you should be smart enough to study the situation first. A burglar may be carrying a hidden weapon. There’s also the chance that he’s not alone inside your home. Whatever is the case, you must have an efficient plan before you expose yourself. A burglar’s most probable reaction to seeing you carrying a baseball bat and a flashlight is to be violent. If he or they are well armed and you have your family close to you, it’s not a very wise idea to hold any confrontation. Do not attempt to fight or argue with an intruder, unless the situation is life threatening and you need to defend yourself. Escape is always the best option not only for your own good but for the other members of the family you have with you. Other than 911, you should also have an easy access to important numbers. This can be your local police or a relative living nearby who can easily check on you. During such cases, it’s good to let another person know what is currently happening in your home. Keep in mind to always have your phone with you. It’s the easiest way you can call for help. Put in the emergency numbers in speed dials as part of your security planning. This way, you won’t have to do several swipes during an emergency. Get to a safe place. You can use any room as your family’s “safe place”. In case you haven’t dedicated one or you haven’t established any emergency protocols, then you can choose whichever room is hard to break in. This means you have to choose a room with a deadbolt or one that does not have glass doors and windows. This is to make sure that your kids are in a safe place while waiting for help to arrive. If you haven’t installed deadbolts in any of your rooms, you can simply lock the door and push some of your furnitures and heavy equipments as barricades. Do not allow anyone to leave the room until you know it’s safe. Planning ahead of time can help save lives and properties. It only takes ten or even just five minutes to create a safety plan with your family. It’s not generally hard to make, particularly if you have the whole family suggesting ideas. Safety planning also isn’t all about burglary. It can be used in cases of fire, earthquake and other natural disasters. Try to involve your children in the planning phase as much as possible and make sure they understand the plan very well. It can help them retain the information better if you act it out and write down the details. List down the emergency numbers, safe places to go and where you’ll meet just in case you get separated. Although security systems can help make your home safer and more secured, you’ll still need to practice awareness and vigilance. Effective human element is still needed for these devices to work their best. TopSecurityReview is your best source of high quality home security system reviews. We stringently compare systems, provide in-depth reviews with an aggressive rating system, and share legit customer testimonials to help you make an informative decision for you and your family’s safety. We know that the right security system can give you both protection and peace of mind. We can help you find exactly what you’re looking for in a home security system customized to fit your needs.